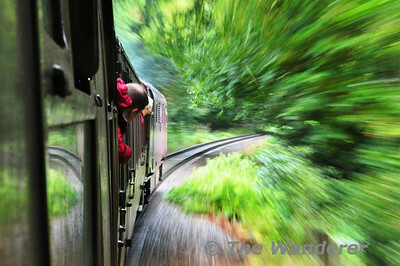 Popular Photos are decided by the number of views each photos receives. 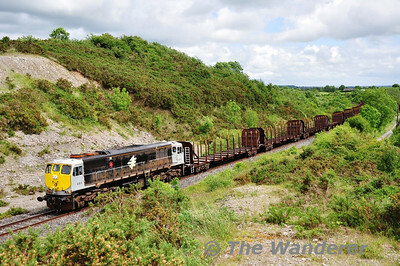 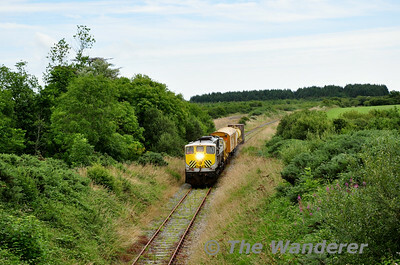 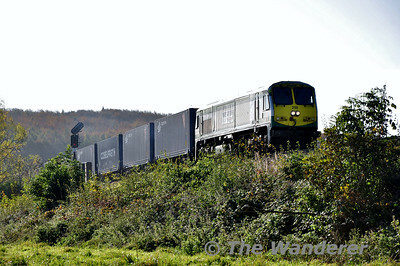 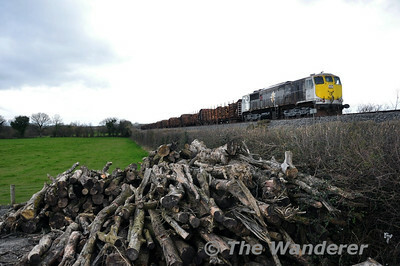 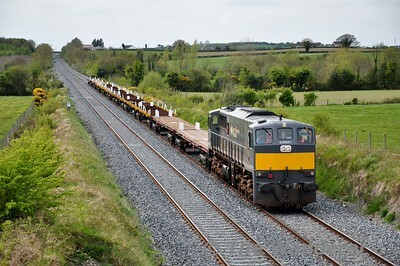 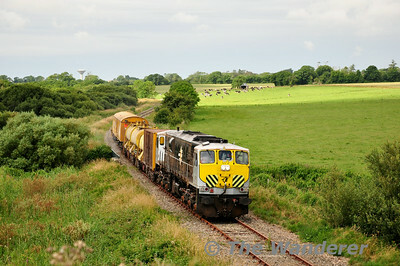 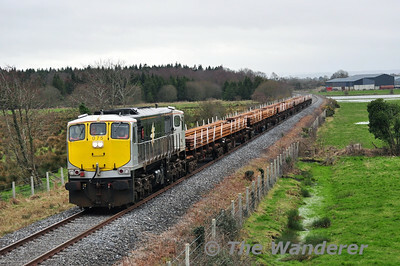 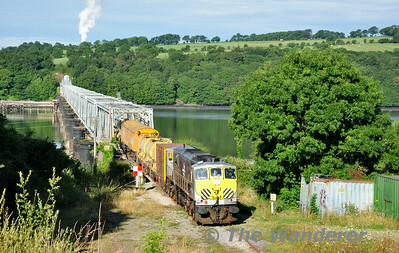 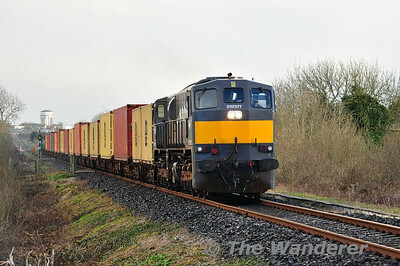 088 working the 1655 Westport - Waterford Timber train at Gormans crossing between Westport and Castlebar. 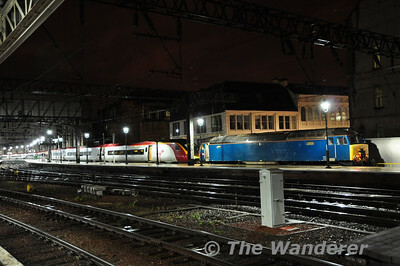 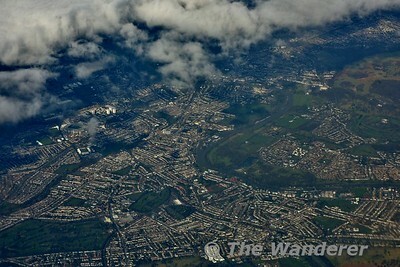 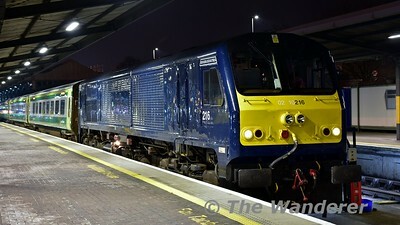 Fri 27.01.12. 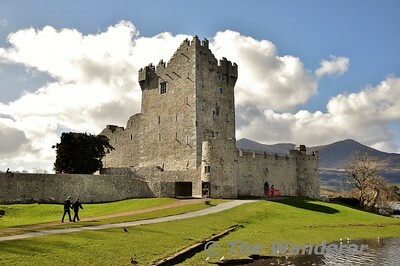 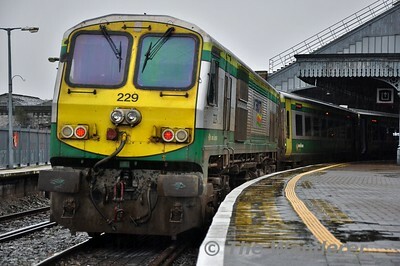 Photo: Noel Enright. 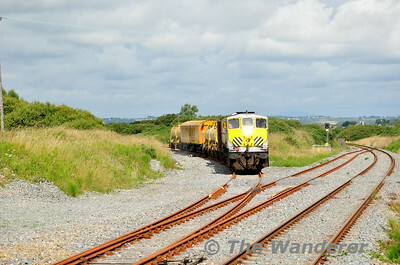 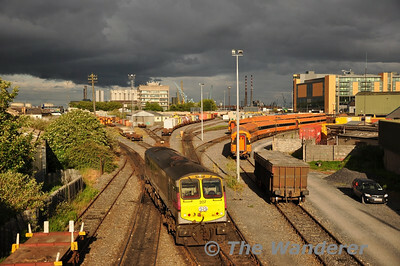 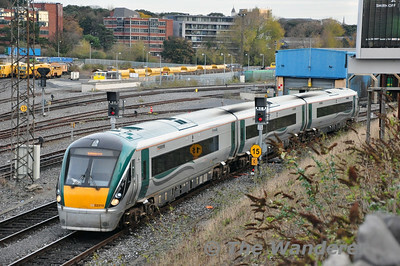 078 passes Killiney working a 1035 Heuston Guinness Yard - Wexford Autoballaster train. 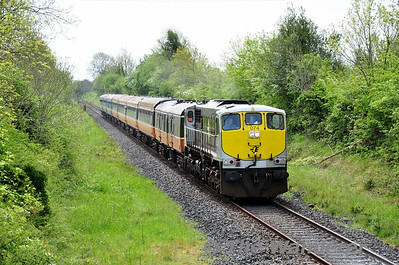 Mon 20.04.15 Photo courtesy of Mr. Church. 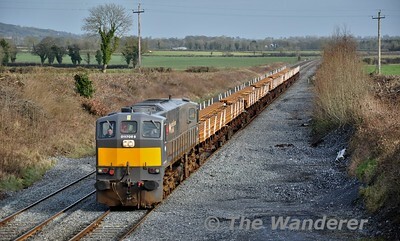 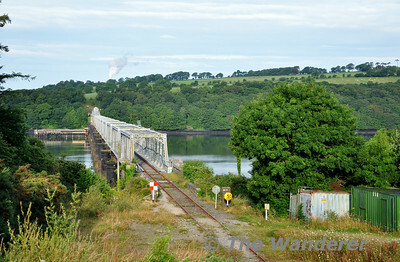 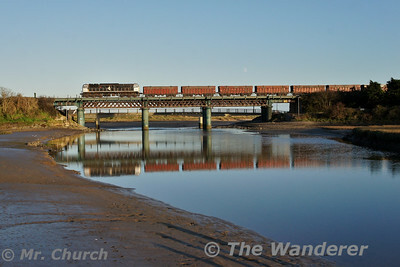 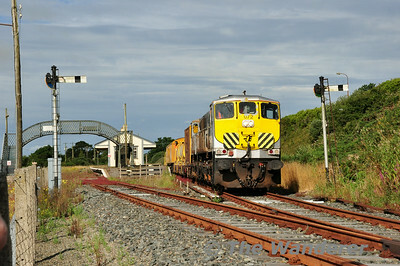 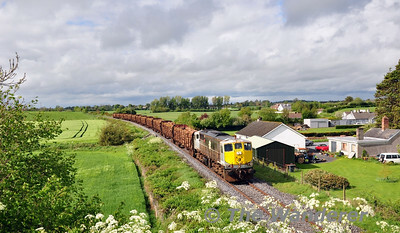 072 crosses Laytown Viaduct with the 1400 Alexandra Road - Tara Mines empty. 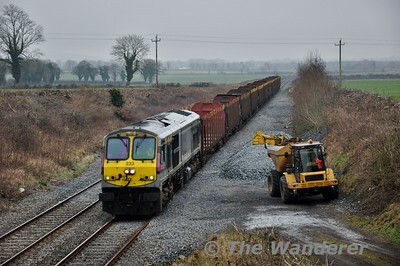 Tues 02.12.14 Photo courtesy of Mr. Church. 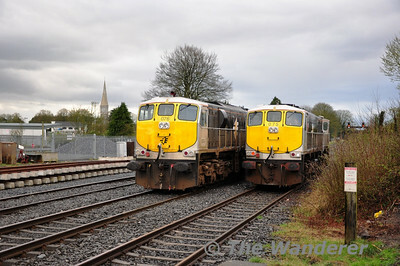 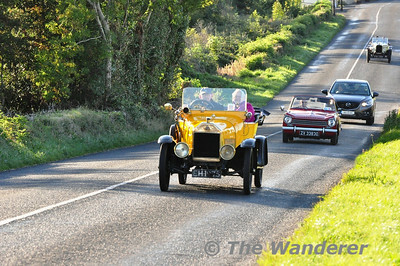 On Tuesday 1st April the Sperry Train visited the Cobh & Midleton Branches before stabling in Mallow for the night. 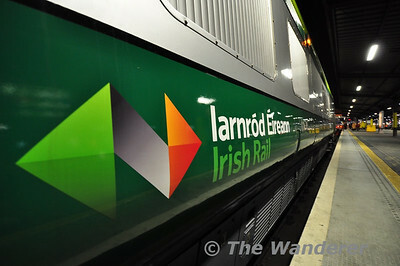 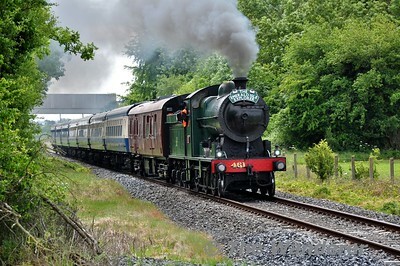 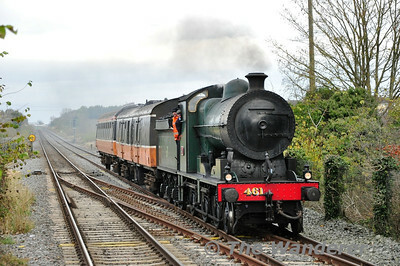 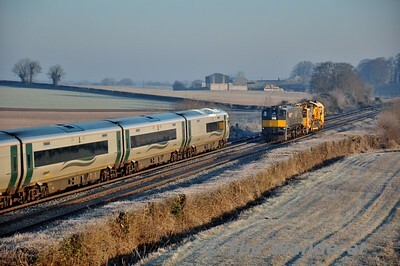 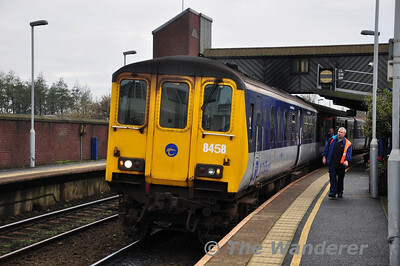 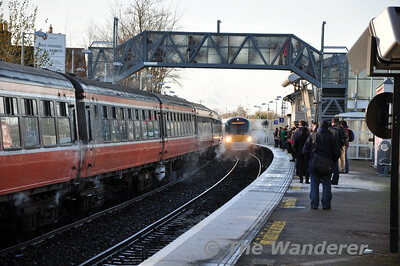 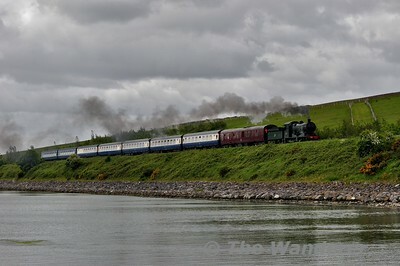 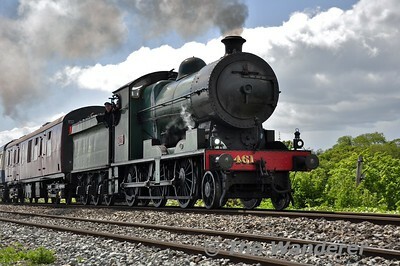 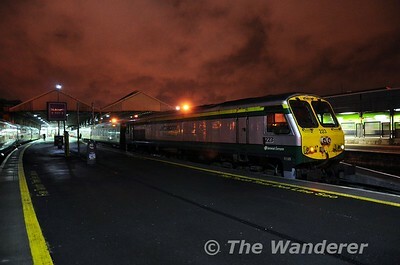 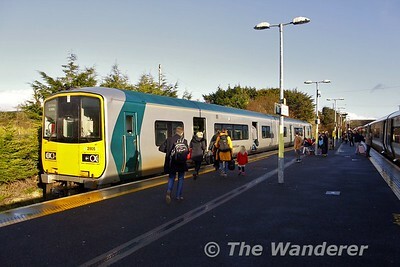 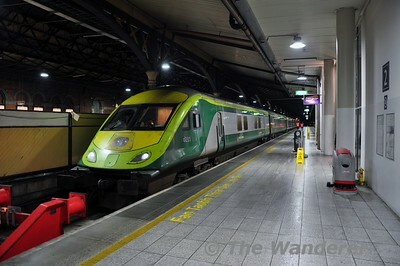 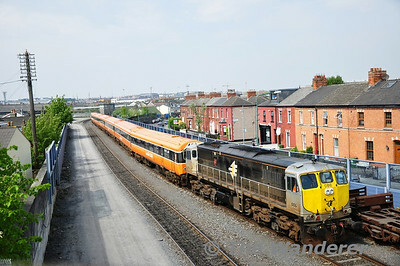 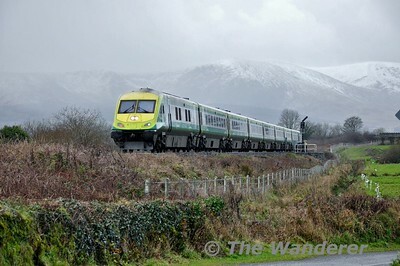 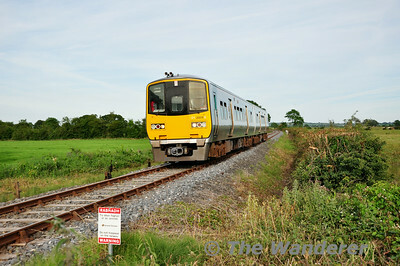 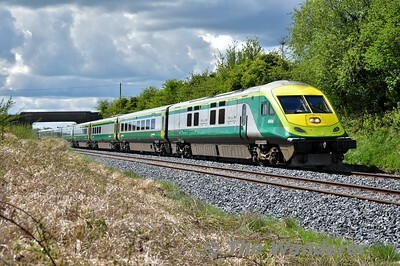 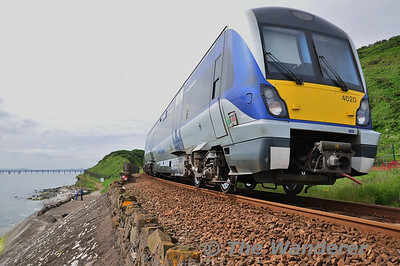 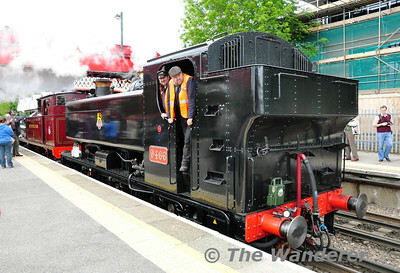 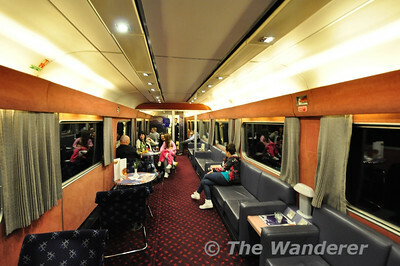 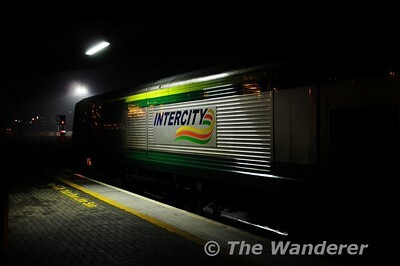 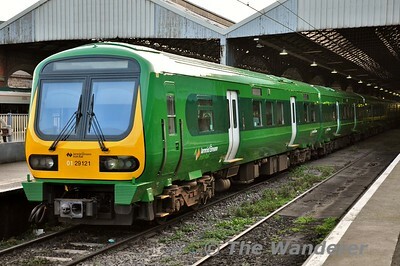 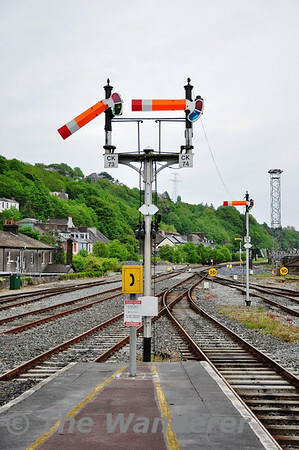 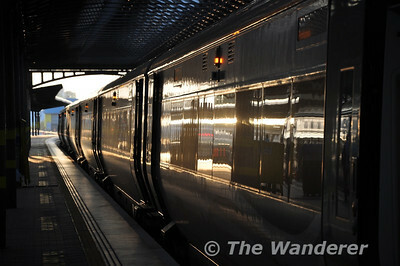 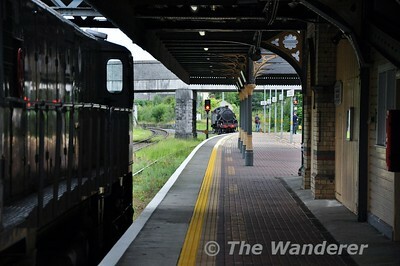 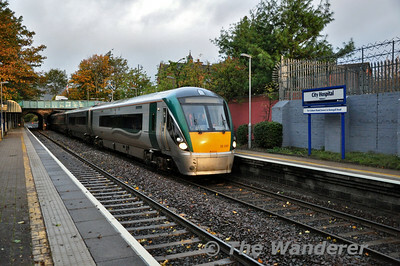 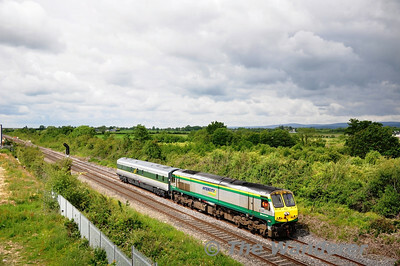 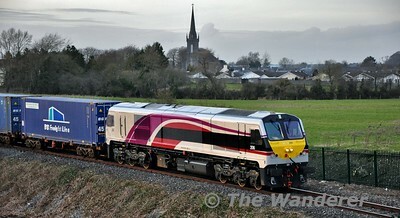 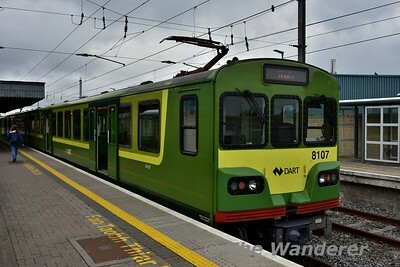 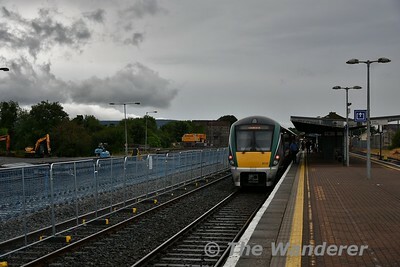 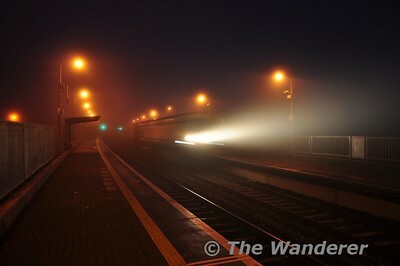 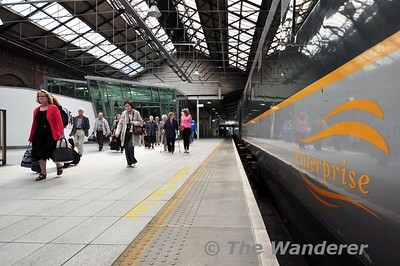 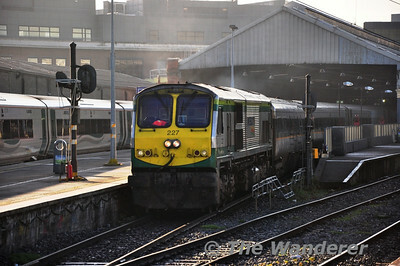 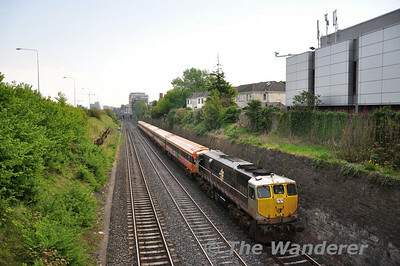 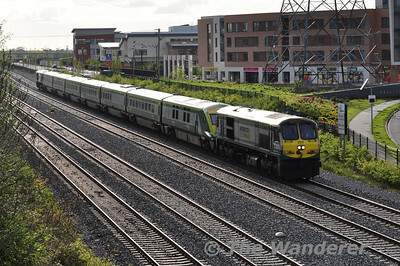 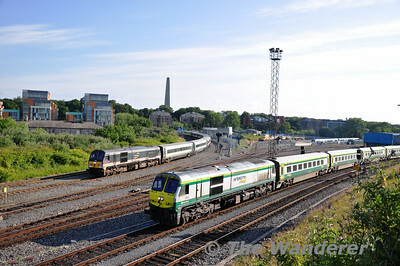 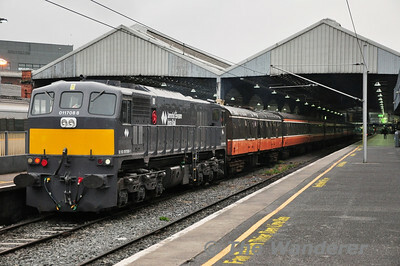 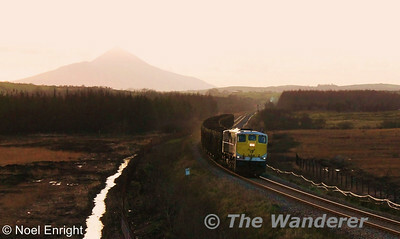 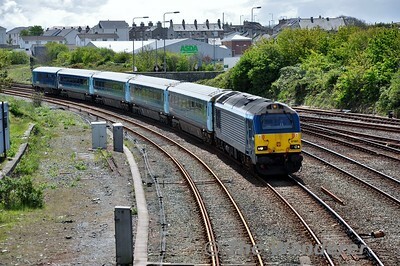 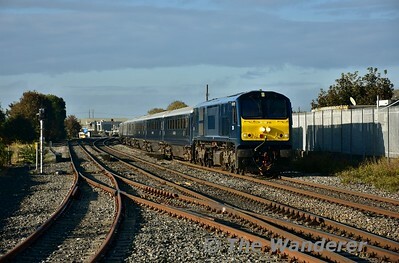 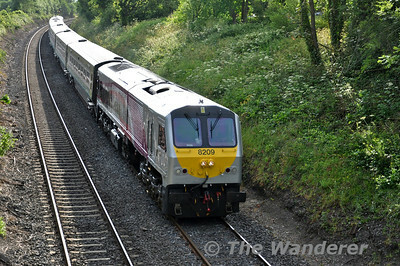 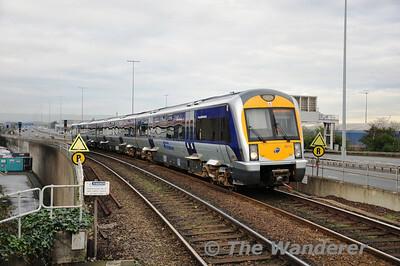 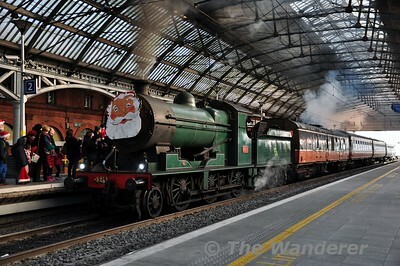 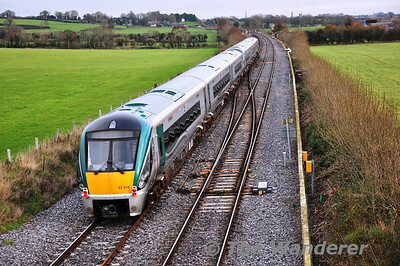 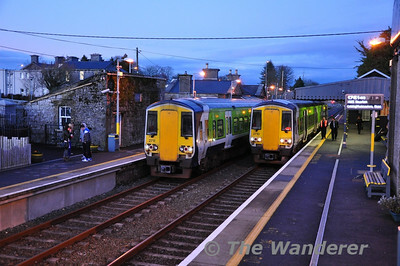 The following day it operated as the 0945 Mallow - Portlaoise. 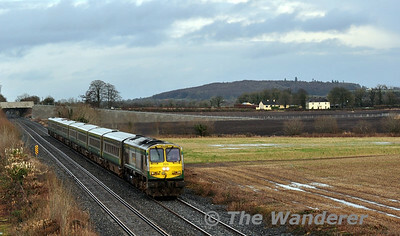 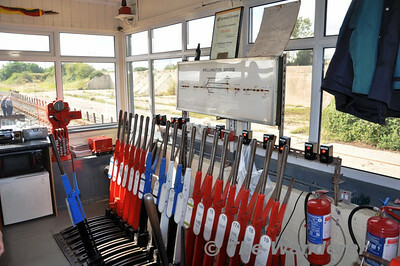 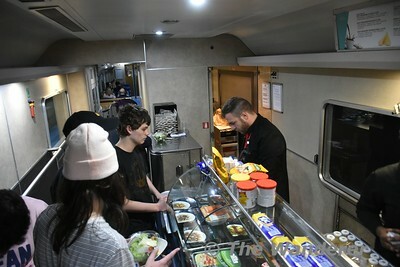 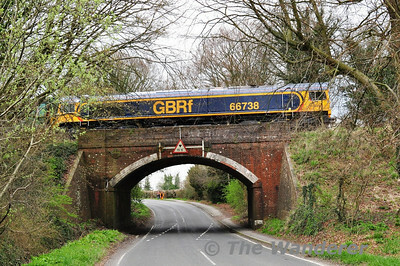 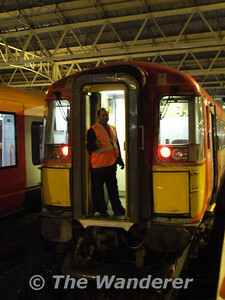 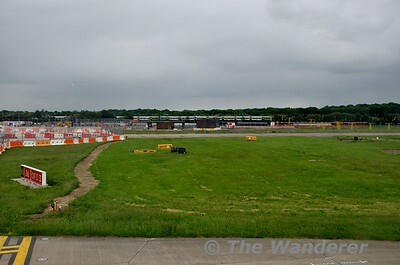 To provide additional brake force two wagons and BR Van 3187 from the Weedspray Train are marshalled into the train as well. 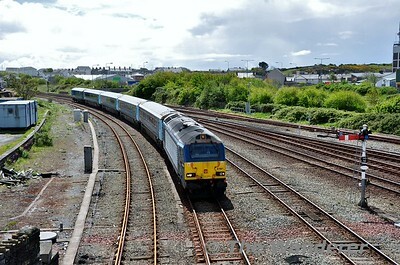 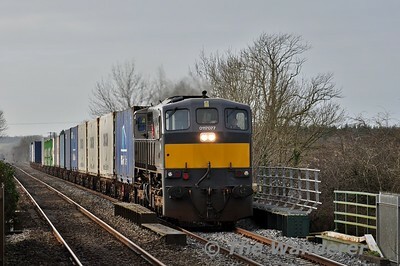 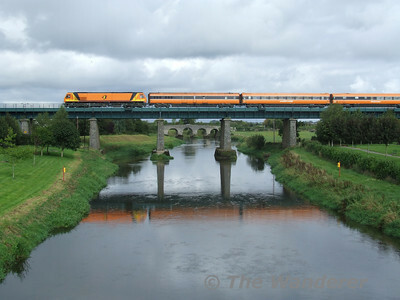 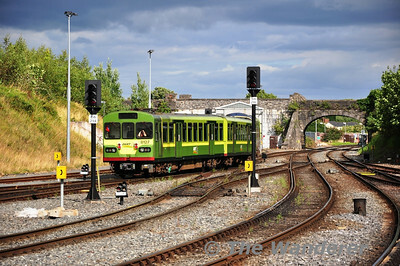 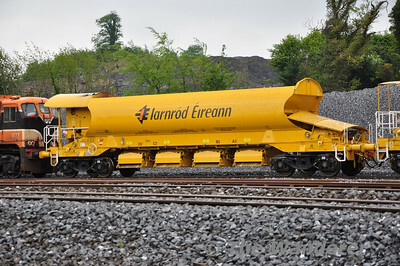 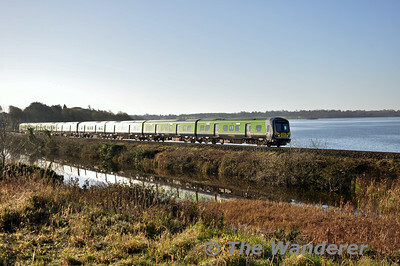 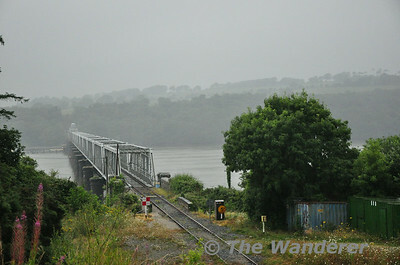 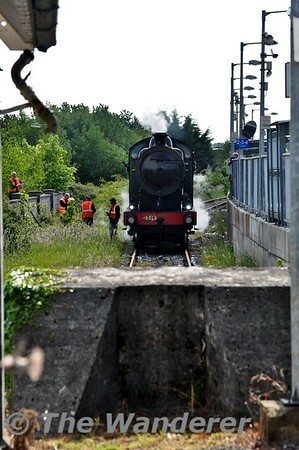 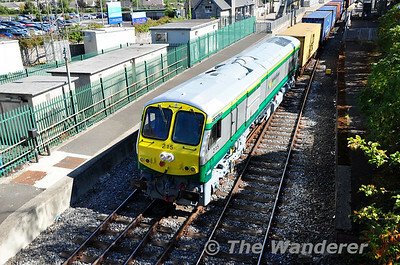 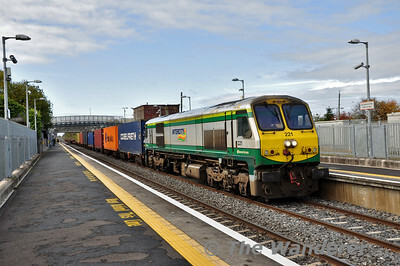 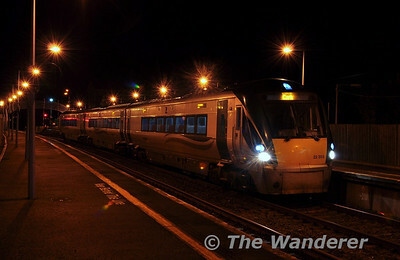 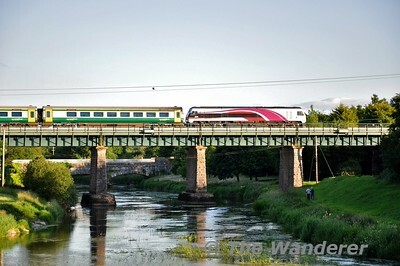 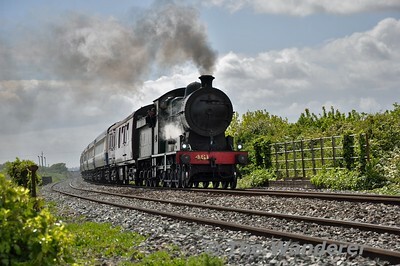 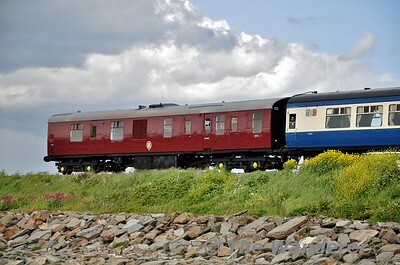 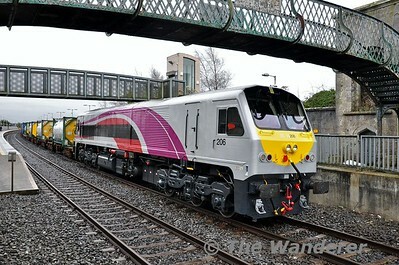 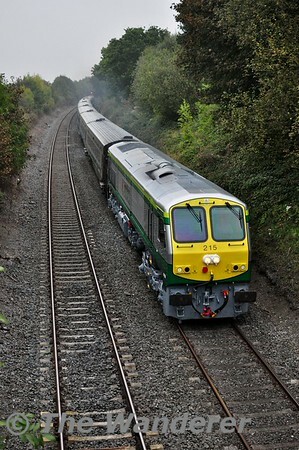 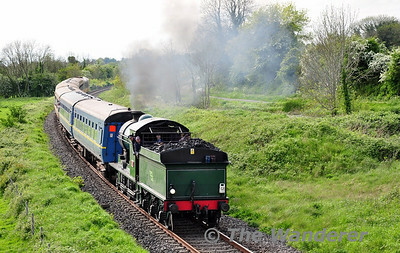 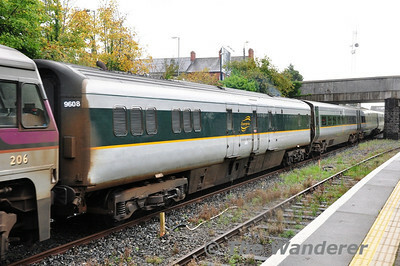 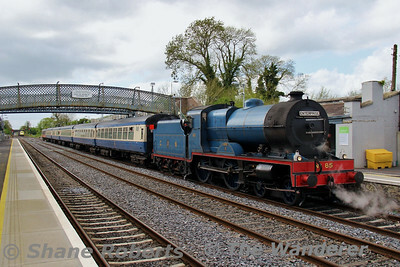 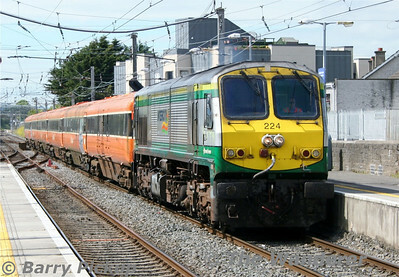 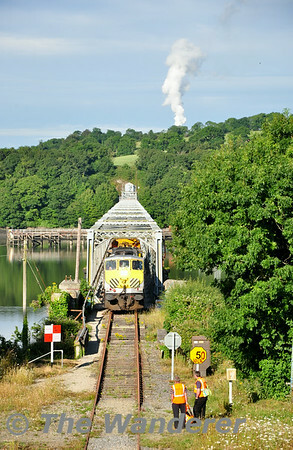 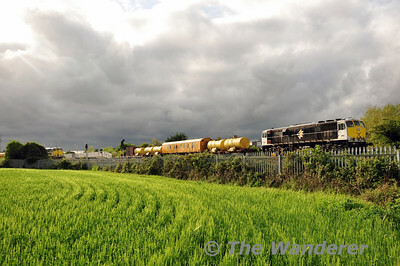 082 is pictured at Clonkeen Bridge shortly before its arrival at Portlaoise. 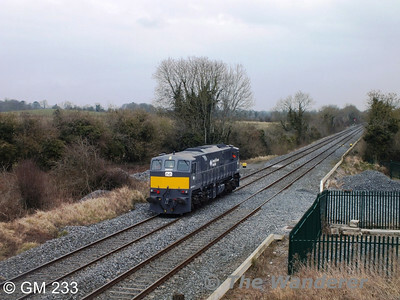 Tues 02.04.14 For pictures of the Sperry Train in East Cork on Tuesday 1st April 2014, click here for photographs by Finnyus. 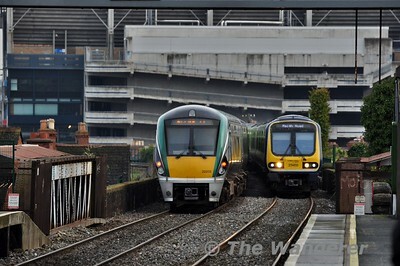 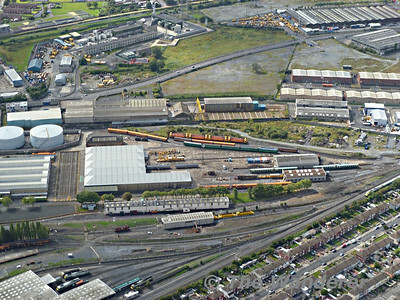 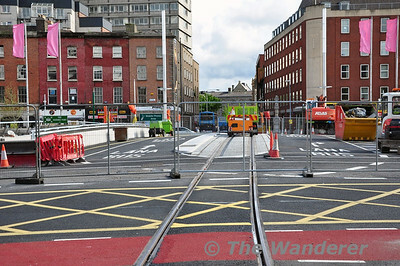 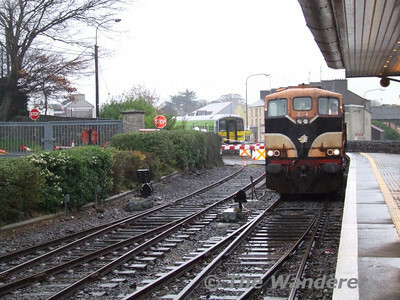 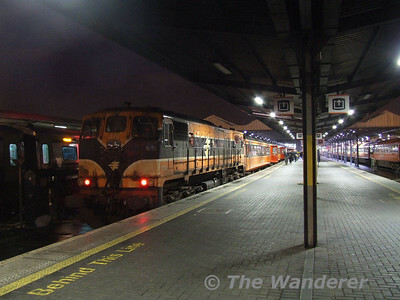 My last picture of 2013 shows 223 passing Carn with the 1300 Heuston - Cork. 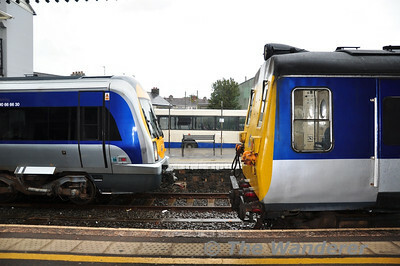 2014 will hold another interesting year for the MKIV Fleet with further fleet size reductions planned. 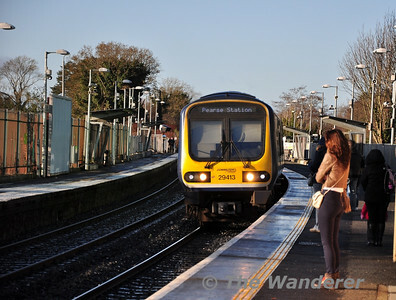 Tues 31.12.13 Finally, I will take this opportunity to wish you all a Happy New Year and thank you for viewing the website during 2013. 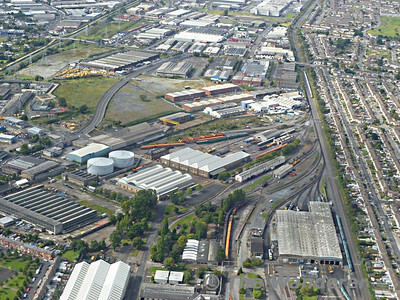 Want to see the highlights of 2013? 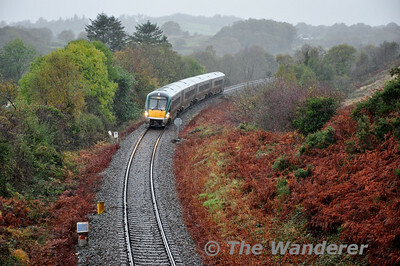 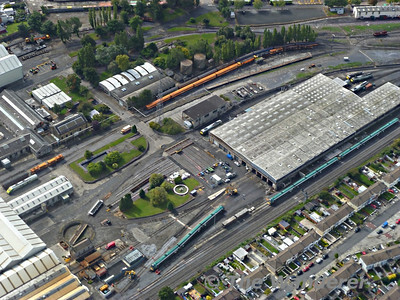 Then click here to view the 2013 Year in Review Gallery. 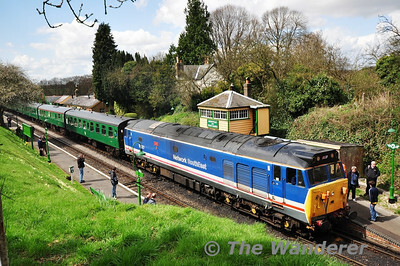 50027, 1145 Alresford - Alton at Medstead and Four Mark while waiting to cross a down train. 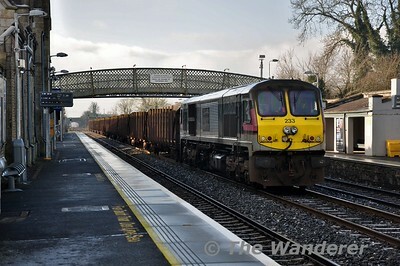 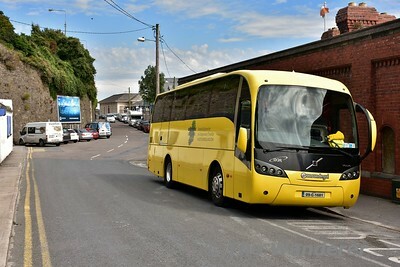 077 at the Iron Bridge, Sallins with the return leg of the trial to Inchicore. 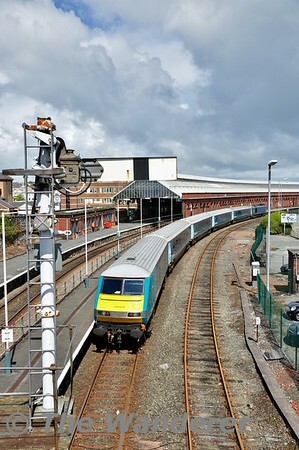 Wed 10.04.13. 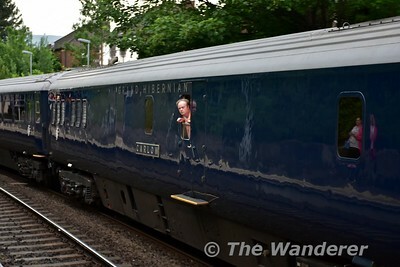 With thanks to GM 233. 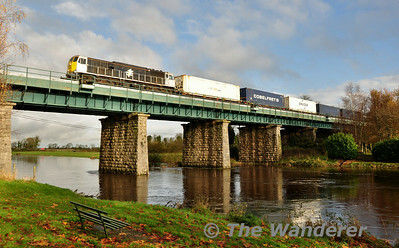 The 1130 Waterford - Ballina DFDS Liner ran on Easter Monday April 1st 2013. 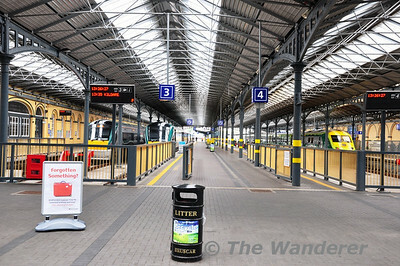 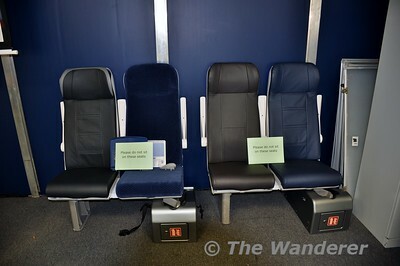 The joke from DFDS was that it ran empty! 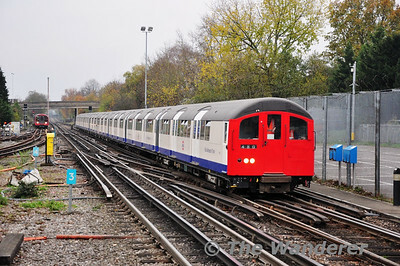 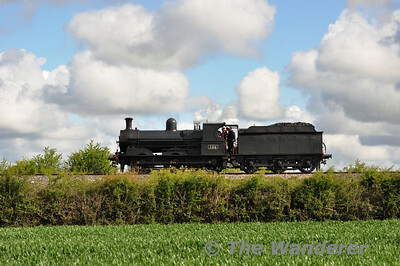 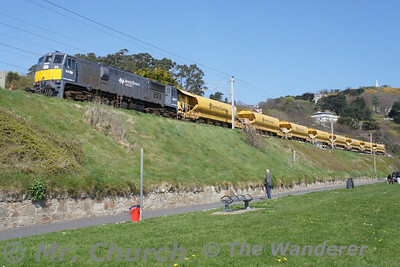 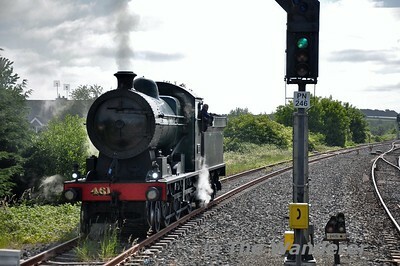 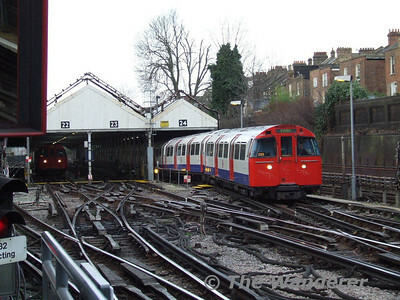 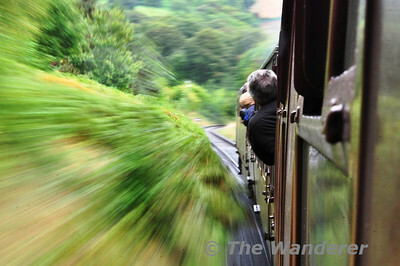 073 is seen powering out of Portarlington. 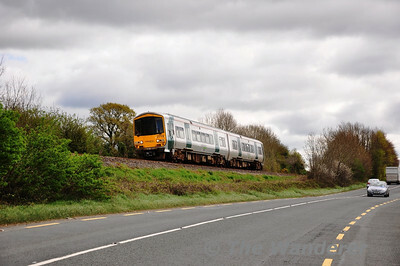 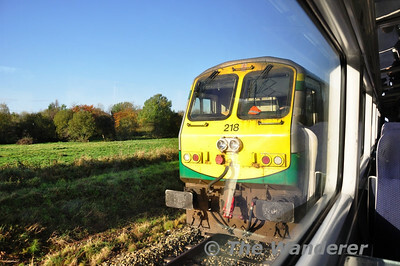 85 at Kildare while a late running Cork service overtakes. 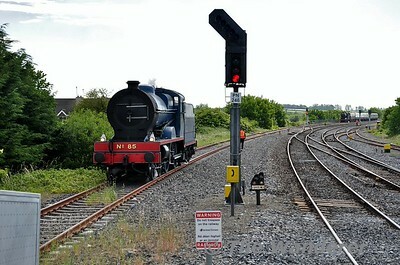 85 at Thurles during a water stop. 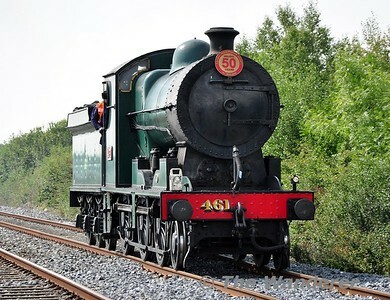 Mon 11.05.15. 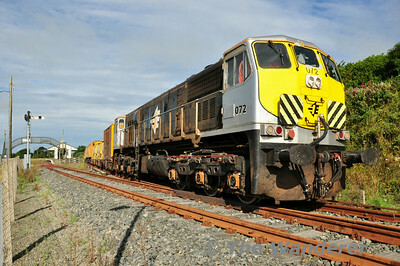 Picture courtsey of S. Roberts. 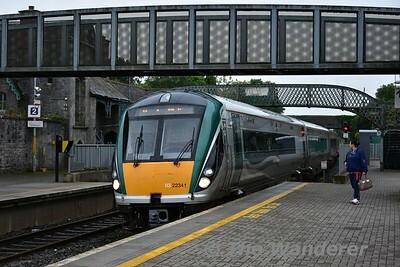 Recently repainted 215 got a chance to stretch its legs on Thursday morning when it was allocated to the 0700 Heuston - Cork service. 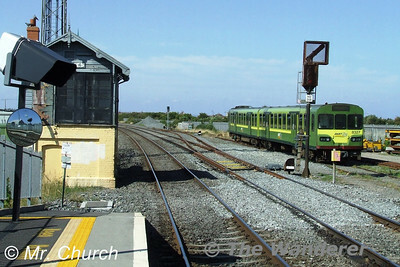 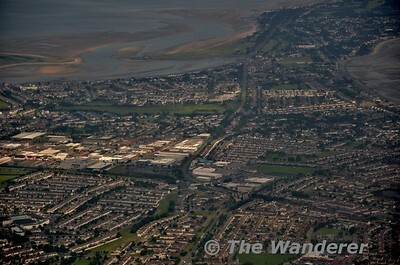 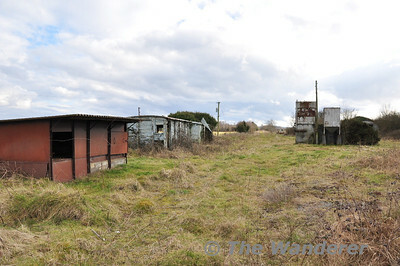 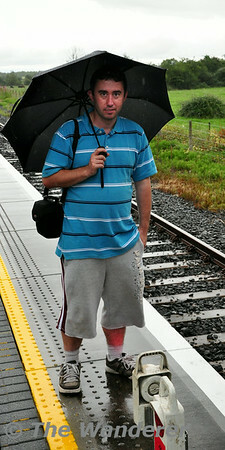 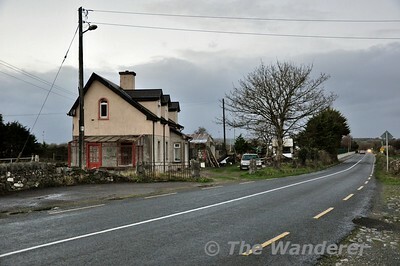 It was pictured at Deerpark, Portarlington. 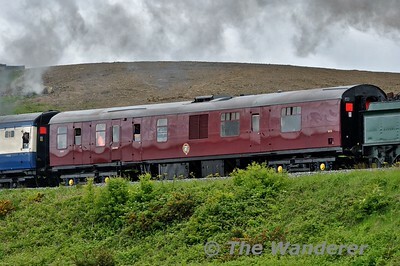 Thurs 18.09.14 Understandably the working created a lot of interest with Kieran Marshall, Finnyus & Peter076 all out to photograph the first passenger working of 215 after repainting. 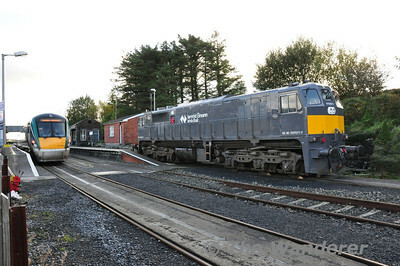 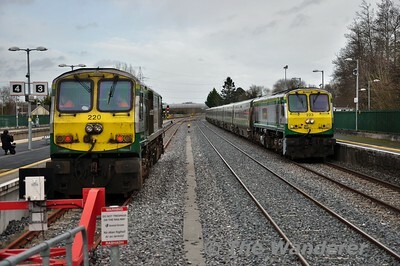 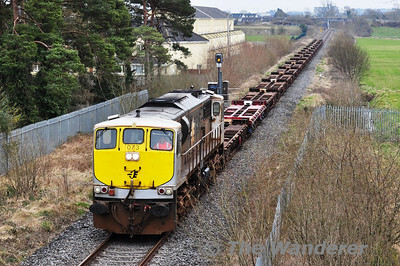 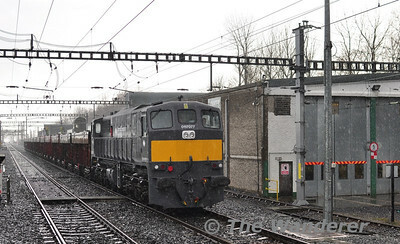 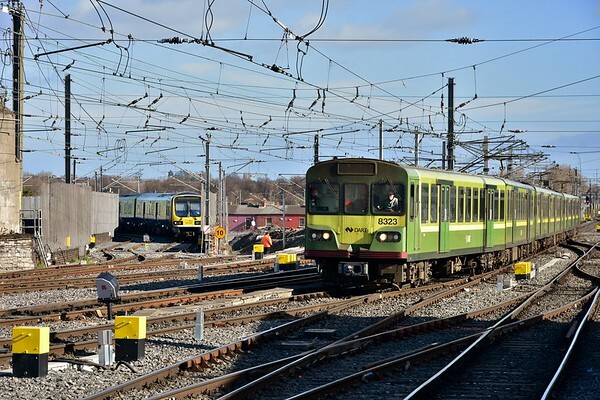 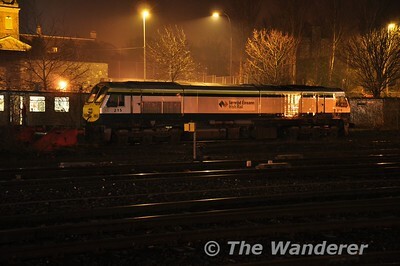 Tamper 740 required to be hauled from Kildare to Portlaoise on Thurs 13.03.14. 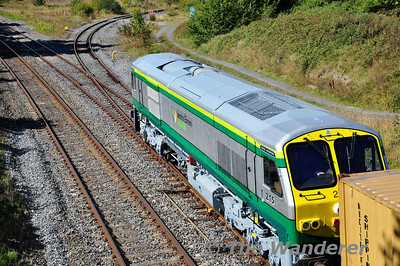 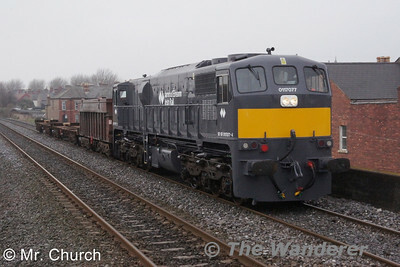 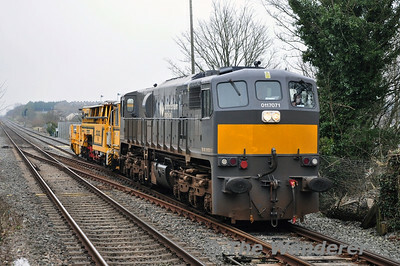 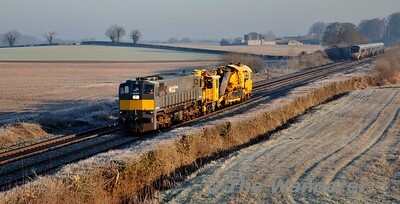 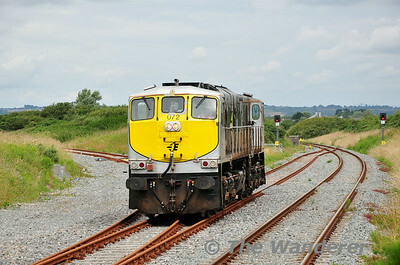 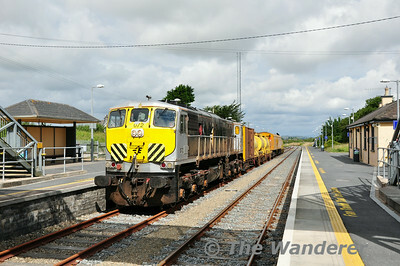 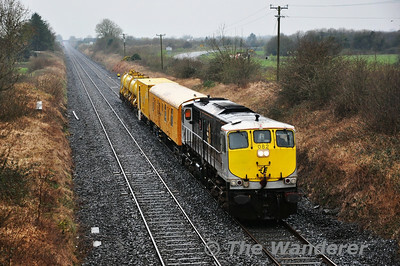 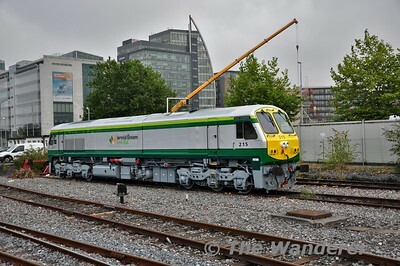 071 went Light Engine from Portlaoise to collect the Tamper and haul it back at 1030 from Kildare. 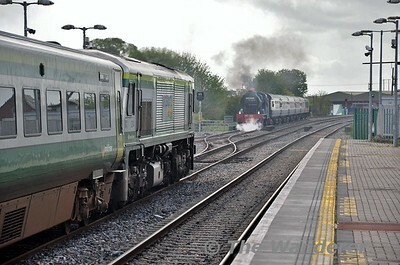 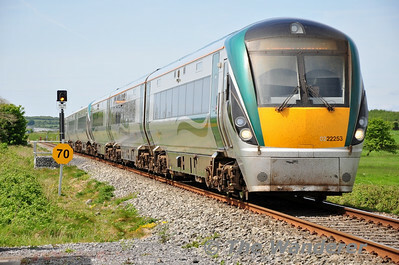 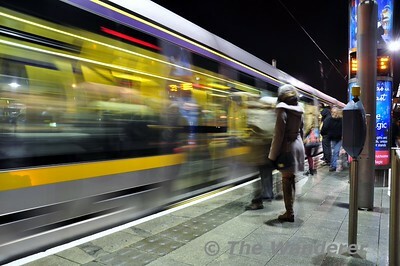 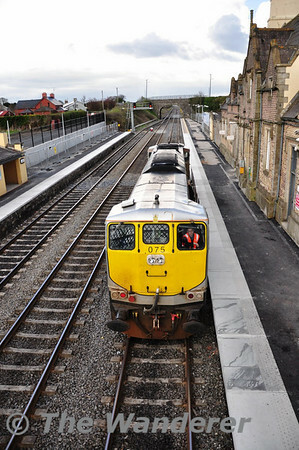 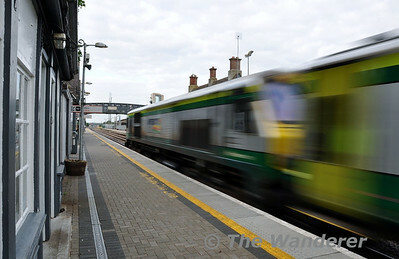 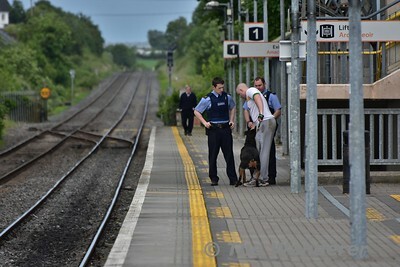 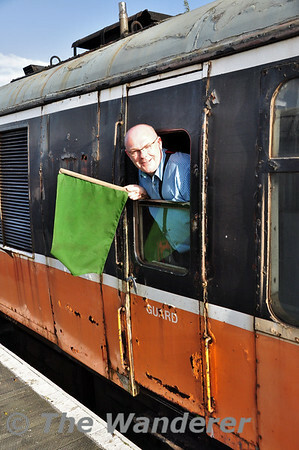 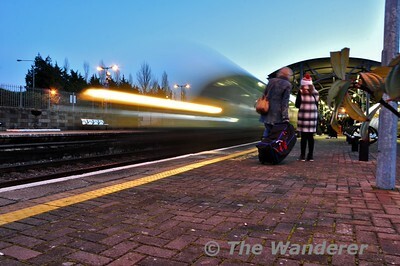 The movement is pictured arriving into Portlaoise Station.